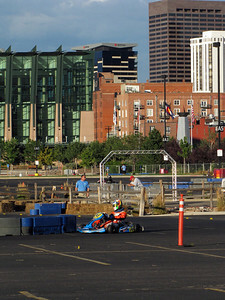 2nd annual race at a temporary track in the Pepsi Center parking lot. 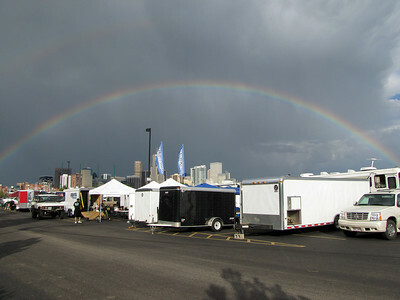 Saturday evening, it rained, then we were treated to this rainbow above our pit area. 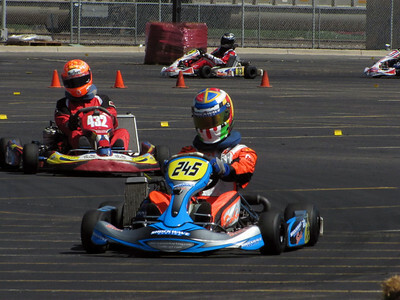 Shockwave Karting Team driver Greg Welch. 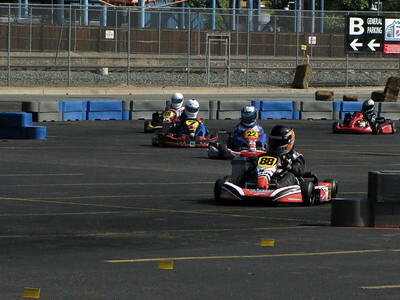 I'm sad this one came out slightly blurry. 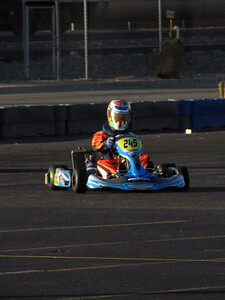 Shockwave Karting Team driver in the MiniMax division, Jason Dempster. 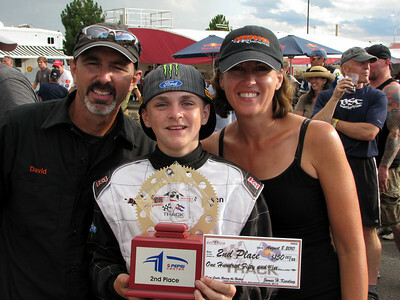 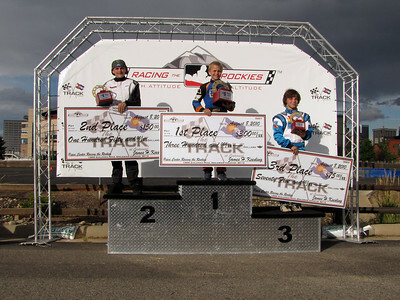 Jason finished 2nd, which was good enough to claim the Racing the Rockies season championship. 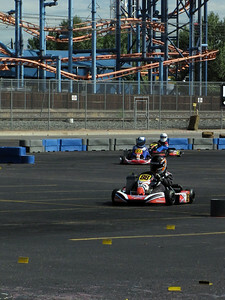 Although the Shockwave driver is hidden, I had to post this photo because it is probably the best one I took. 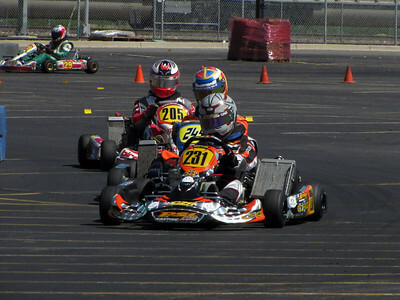 That's Sabre Cook leading Greg Welch and Ben Schermerhorn. 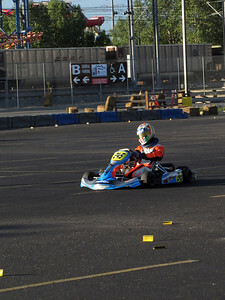 Greg Welch leading David Zippie. 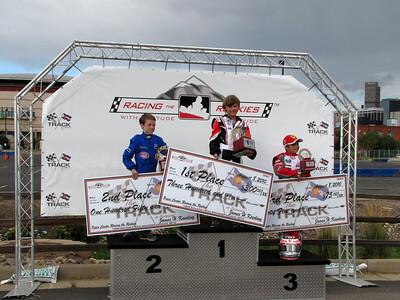 Jason Dempster on the podium. 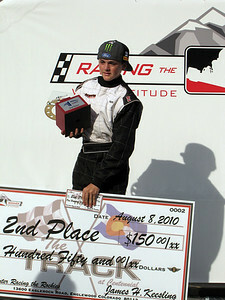 Cody Dempster finished 2nd in the MicroMax class.